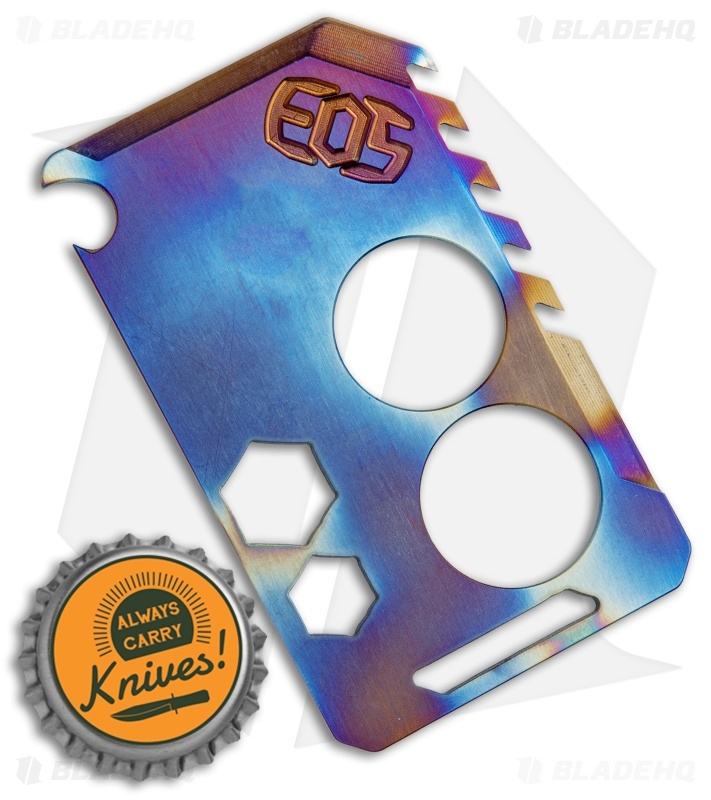 This EOS knife card is sized for easy pocket or wallet carry and CNC machined from solid titanium with a flamed finish. It features two semi-sharpened edges, one plain and one toothed/serrated, for light cutting tasks. 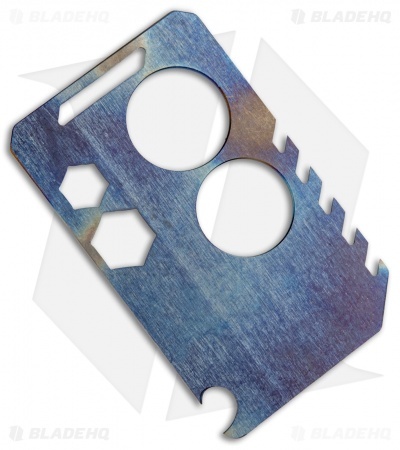 Two large finger holes provide a secure grip during use. 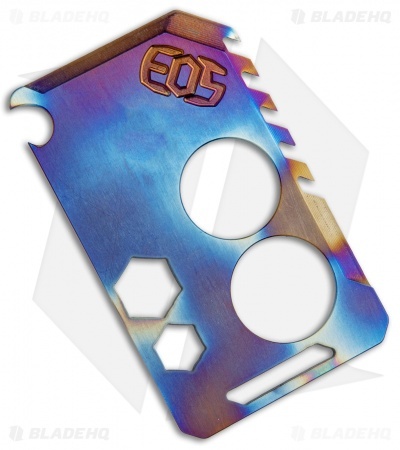 The tool is also equipped with a bottle opener and two hex wrenches.